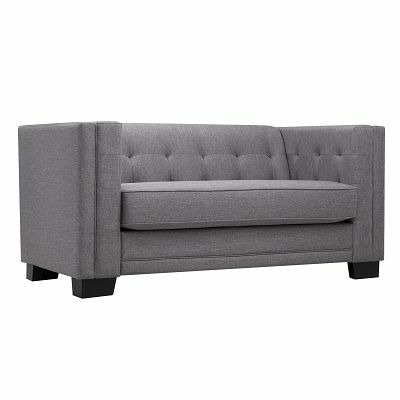 The Jay Loveseat is a pure line, grey upholstered tufted back loveseat with small square wood footing. 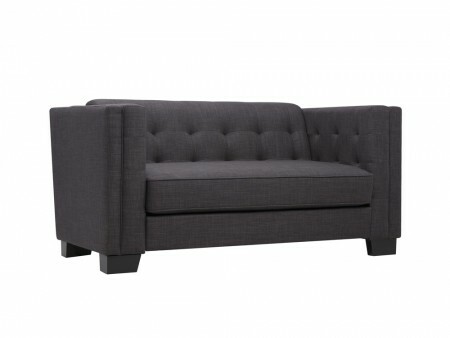 Impeccable construction for comfort and a modern feel, it will serve all living room designs well. In addition to the Jay 3 Seater Sofa, also available in our collection or by itself with accent chairs, this piece just needs a few colorful pillows. Its compact dimensions makes it versatile and fun.